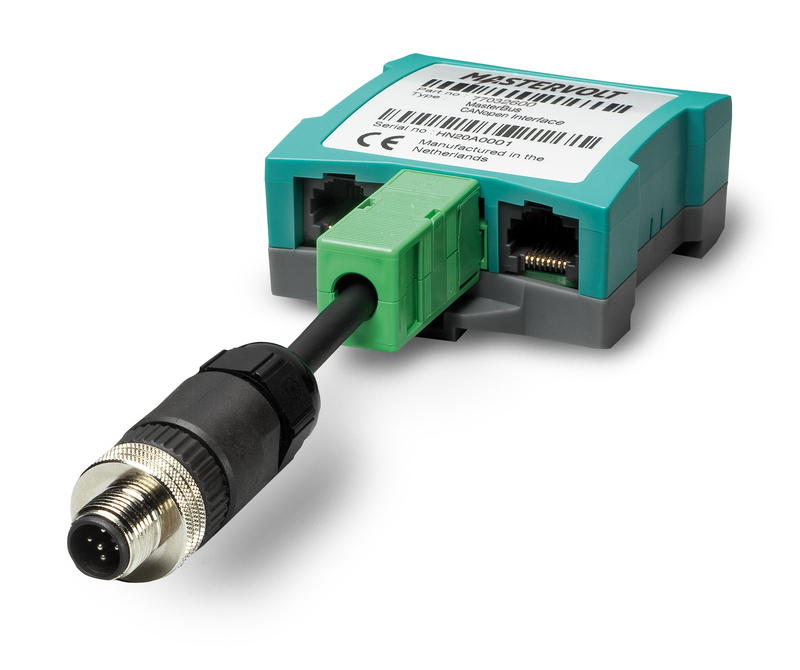 The MasterBus CANopen Interface facilitates transparent, 2-way communication between MasterBus and the CANopen standard, which is adopted in many automotive and industrial automation applications. Programming of the MasterBus CANopen interface is easy and transparent, allowing complete monitoring and control of your Mastervolt system from 3rd party devices. The interface allows a programmer to generate or read generic CANopen messages as defined in the CiA 301 specification, thus maximizing the design freedom for a systems engineer. CANopen devices have access to every single MasterBus device. Information exchange between CANopen and MasterBus is organised through the use of so-called data fields. Every individual item within MasterBus, such as the state of charge of a battery or the on/off button of an inverter, can be accessed through one of these data fields. A maximum of 100 data fields may be configured. Besides access to these individual items, also MasterBus Events may be used and exchanged with CANopen. The open and transparent architecture of the MasterBus CANopen Interface creates extensive possibilities for automation and monitoring. The interface can be configured manually using MasterAdjust. For fast configuration, string-based mapping is available. Allowing full monitoring and control of any Mastervolt system through a CANopen enabled device or display, the MasterBus CANopen Interface facilitates complete and easy-to-use power systems inside any mobile or industrial application. Bidirectional communication between CANopen and MasterBus. Generic CiA 301 messaging creates maximum programming freedom. Supports all MasterBus enabled devices. Any mobile/automotive, marine or industrial system that either uses the CANopen protocol or can be upgraded by addition of CANopen enabled devices. Generic CANopen devices such as controllers, displays, sensors, I/O modules are available from suppliers such as IFM Electronic, MicroControl and Trinamic.